Today’s college students and recent graduates, members of Generation Y (Millennials) and Generation Z, prefer that recruiters communicate with them on their terms. But what are those terms? How can recruiters and talent acquisition professionals best meet today’s college students where they are? In this 9-minute video, Steven Rothberg, President and Founder of College Recruiter, offers expert advice and insight into today’s college students’ communication preferences and how employers might best communicate with these candidates on their terms for best results in recruitment efforts. Since approximately 1/3 of today’s workforce is comprised of Gen Y members, it’s important for recruiters and talent acquisition leaders to understand and adapt to this generation’s learning styles and communication preferences. In addition to offering practical suggestions for incorporating video into college recruitment efforts, Rothberg also suggests that recruiters consider host virtual career events to conserve time and cost, particularly when recruiting on smaller campuses or in remote locations. Rothberg places particular emphasis on recruiters’ need to connect with Gen Y candidates by ensuring that their websites and online job applications are compatible with mobile devices. With over 90% of college students using smartphones, it’s imperative that employers maintain mobile compatibility. Technology like responsive design enables companies’ websites to adapt to mobile devices’ screen sizes. 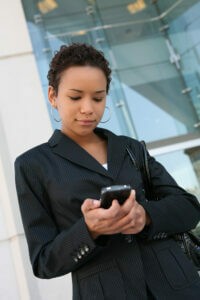 This is imperative since mobile devices are linked to about 60% of internet traffic. Since many of today’s college students and recent graduates prefer accessing employers’ websites via mobile devices, recruiters must attempt to create mobile-friendly job applications. Rothberg suggests allowing candidates to apply for positions without uploading resumes and asking for resumes later since most of today’s college students and recent graduates apply from mobile devices and don’t keep copies of their resumes on their smartphones. Rothberg also discusses specific ways College Recruiter tailors banner ad campaigns to today’s college students and recent graduates’ communication preferences. In 10 years, today’s college students and recent graduates will make up 75% of the workforce. For this reason, it’s crucial for recruiters to adapt to today’s technology rather than expecting students and grads to adapt to old-fashioned modes of operation. At College Recruiter, we believe every student and recent graduate deserves a great career and are committed to creating a quality candidate and recruiter experience. Our interactive media solutions connect students and graduates to great careers. Let College Recruiter assist you in the recruiting process.